Specwell M-1030-LS Monocular with auxiliary close focus lense and short acrylic base. Maybe used either as a close-up stand microscope or long distance monocular telescope. Popular for industrial applications in quality control and inspection. When using this monocular as a telescope, objects can be observed at a minimum working distance of 700 mm. 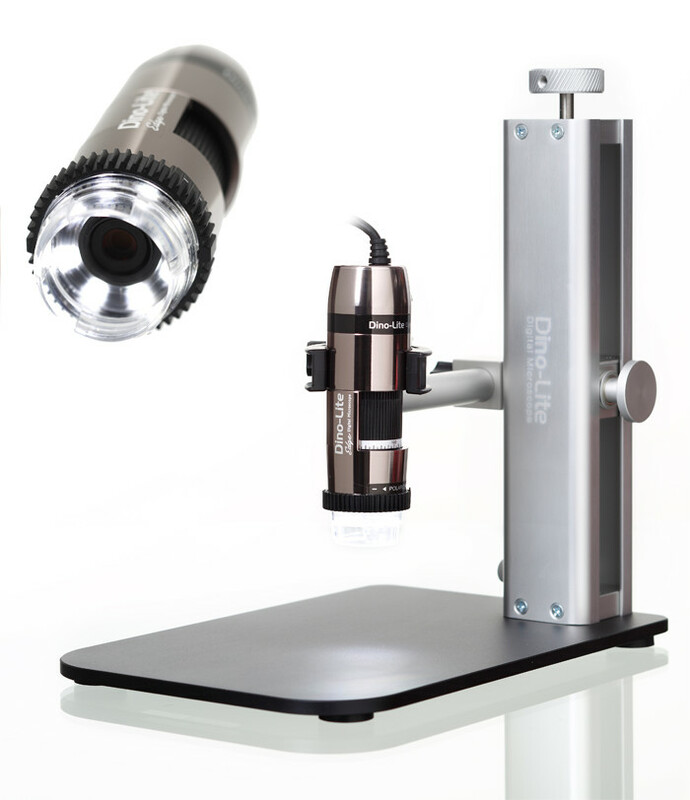 The close focus lense and acrylic base can simply be screwed onto the monocular resulting in an excellent stand microscope with field of view of 8 mm and magnification factor of 30x. A cutaway in the clear base allows access to touch the object under inspection. The base can be removed for irregular objects. The image is not reversed. Both lense systems (ocular and objective lense) are achromatic and have an anti-reflection coating. Use of this monocular in combination with the close-up lens is not limited to technical applications. Due to the high light sensitivity, true image and magnification factor, it is also an excellent vision aid. Practical uses include a stand microscope, telescope, a reading aid or straight forward quality control. A high quality box with neck strap is included. Alternative model M-1030-KS is the same monocular with a short acrylic base offering higher magnification when used as a stand microscope.